Texas law mandates that women seeking an abortion must be given an informational pamphlet on abortion and then wait 24 hours before undergoing an abortion procedure. 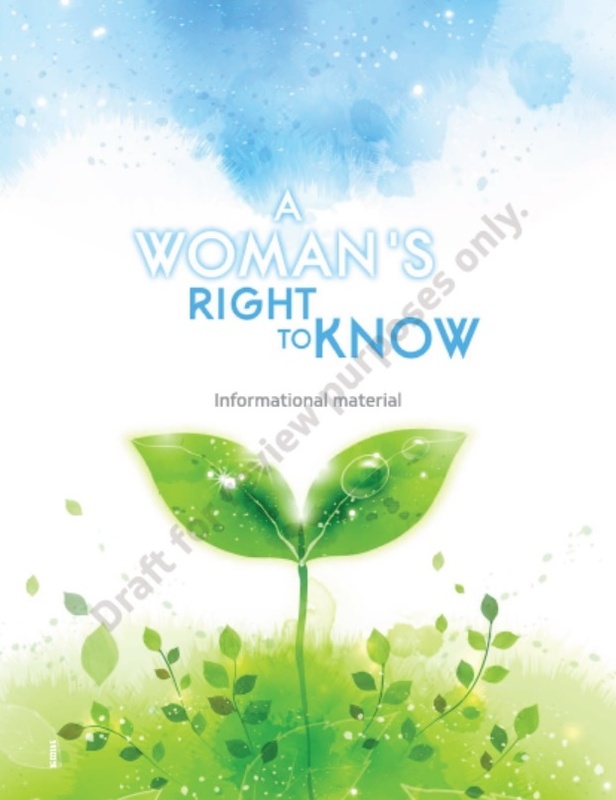 This pamphlet was created in 2003 and is now being updated to reflect more current knowledge of fetal development and the effects of abortion. The new pamphlet was made publicly available by the Texas Department of State Health Services on June 28th. Before I delve into the controversy, here's a quick review of the pamphlet. 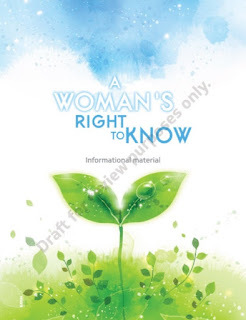 In the introductory page, the writers stress the importance of discussing with your doctor not just the medical risks of abortion but also of giving birth. The pamphlet then gives week-by-week facts about embryonic and fetal development. Next, the writers talk about risks of abortion (death, mental health risks, infertility, etc), the process of obtaining an abortion with emphasis on informed consent, information on support services, and then abortion procedures and their side effects. The last section talks about the risks of giving birth, including common medical risks of pregnancy, risks of birthing, and postpartum problems. This is already more impartial than most abortion providers. 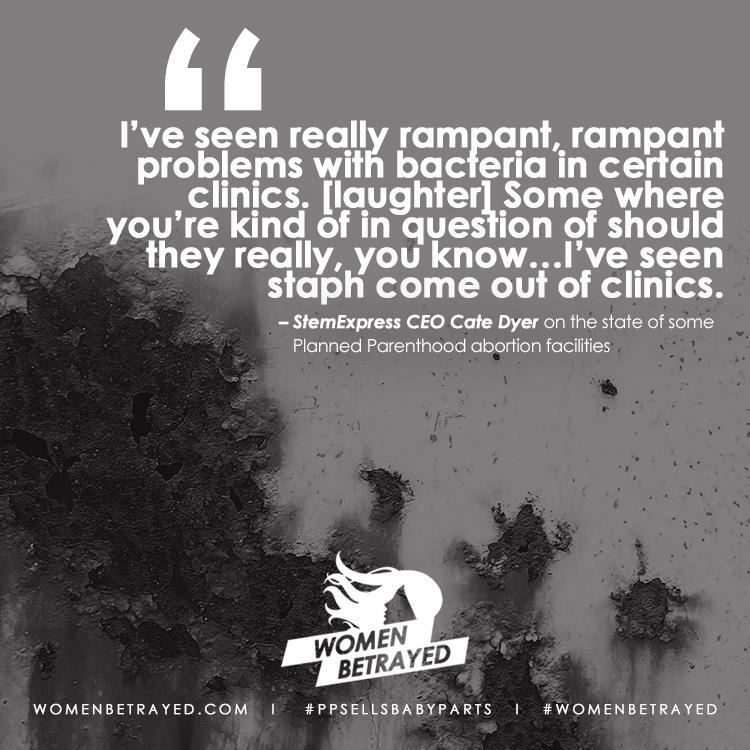 Pro-choicers show their true colors when they fight tooth and nail to prevent facts from being given to abortion-minded women regarding prenatal development, the effects of abortion, and alternatives to abortion. If your worldview requires keeping women in the dark, I have to wonder how you can unironically claim the title of "feminist," "pro-woman," or any of the other empowering titles we see pro-choicers crown themselves with. That is the core of this Texas pamphlet issue. These 2016 updates (but not the pamphlet itself) are open to public comment until today, Friday, July 29, 2016 (send an email to WRTK@dshs.state.tx.us if you'd like to comment on the new material). Naturally, pro-choice leaders are rallying their followers to send in critical comments. Alexa Garcia-Ditta of NARAL Pro-Choice Texas said her organization and other abortion rights groups statewide have teamed up to generate more than 5,000 comments criticizing the latest draft. Hopefully these are all worthwhile complaints, i.e. against factual inaccuracies. Somehow I doubt it. But allow me to address some complaints I saw in recent news articles. Among major changes, the new draft uses "your baby" when describing gestation development as early as four weeks, rather than medical terms, such as "fetus." In the previous version, the term "baby" was used more sparingly and accurately. While the term "baby" has been defined as "a very young child" and "an unborn child; a fetus," and I understand its colloquial use, when you're writing a pamphlet detailing clinical risks/outcomes it is in bad form to use colloquial language in place of clinical terminology. And I could see how a pro-choicer would see this as deceptive. It's no better than when pro-choicers insist on using the term "fetus" in a casual conversation. Certain terms are meant for certain modes of communication, and choosing the inappropriate term is a manipulation of language for an agenda. The listener is bound to detect this agenda, causing them to lose trust in the impartiality of the speaker. Why undermine our credibility when the facts are already on our side? You have a greater risk of dying from the abortion procedure and having serious complications the further along you are in your pregnancy. ...but did not include the conclusion of the article they cited to support this claim. That conclusion said, "increased access to surgical and nonsurgical abortion services may increase the proportion of abortions performed at lower-risk, early gestational ages and help further decrease deaths." In other words, the authors of the study pointed out that increased access to abortion could decrease deaths from later-term abortions. For some reason they think this should have been included in the pamphlet. But this seems like a tangential issue (public policy proposals), unrelated to informing women of their current projected risks. I'm sure with birth as well there are risks which could be mitigated by new policies, yet bringing up possible future policies in an informational pamphlet doesn't make much sense. 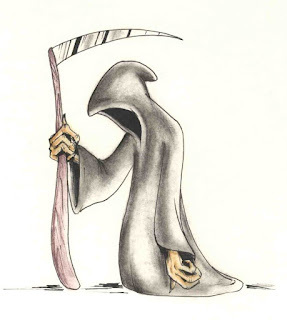 There is one death per every one million abortions for women who are eight weeks pregnant or less, one death per 29,000 abortions for pregnancies at 16 to 20 weeks of gestation, and one death per 11,000 abortions at 21 weeks of gestation and later. Vaginal Delivery: Possible side effects and risks... Death (very rare -- one per 500,000 vaginal deliveries of a live-born infant). Cesarean Birth: Possible side effects and risks... Death (very rare -- one per 45,500 cesarean deliveries of a live-born infant). 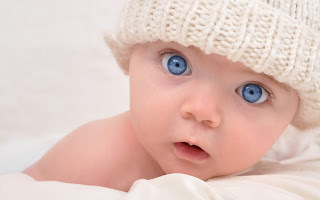 I suppose one could complain that the authors said "very rare" only for the birth risks but not for the early-term abortions which are far more rare. One might also complain that risk of death between 8-16 weeks is not given even though this is a pretty common gestational age to obtain an abortion. However, complaining that they did not explicitly compare the rates rings pretty hollow when they clearly provided rates for both abortion and childbirth. 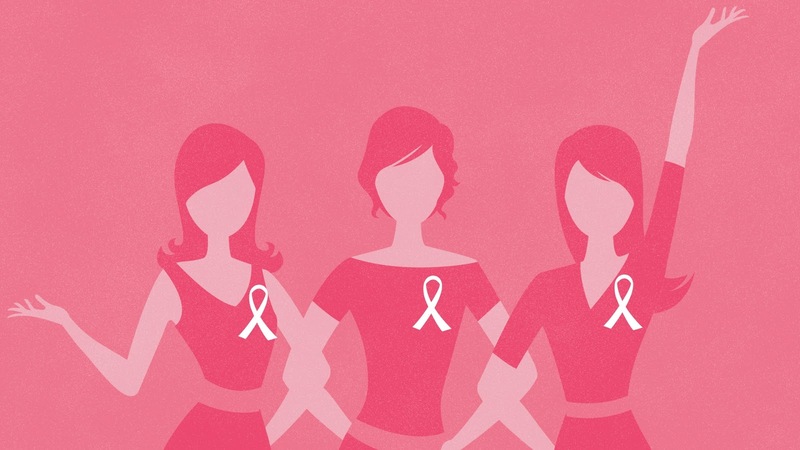 Your pregnancy history affects your chances of getting breast cancer. 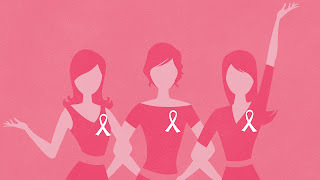 If you give birth to your baby, you are less likely to develop breast cancer in the future. Research indicates that having an abortion will not provide you this increased protection against breast cancer. In addition, doctors and scientists are actively studying the complex biology of breast cancer to understand whether abortion may affect the risk of breast cancer. If you have a family history of breast cancer or breast disease, ask your doctor how your pregnancy will affect your risk of breast cancer. Giving birth lowers your chance of breast cancer, so of course if you choose to not give birth you will miss out on that protective effect. That's all completely true. And that's how they phrased it. So the quote from the ACS is refuting something nobody claimed. Good job, guys. Overall this is not a very credible list of complaints. And these are just the ones credible enough to mention in news articles. The pamphlet gives valid and useful information which women would not otherwise receive -- certainly not in its entirety since a doctor's visit is a mere 15-20 minutes. Pamphlets are a great way to close this knowledge gap, especially for patients who don't have the resources, time, and discerning ability to go find it all themselves. As a pro-lifer I fully support keeping women informed on all these topics, and do not seek to hide or manipulate information. You would think this would be a great common-ground principle to share with pro-choicers, as their name implies. But this pamphlet backlash is a prime example of the fact that it is not. If you want to submit comments in support of the revisions, you can do so via email to WRTK@dshs.state.tx.us. Today is the deadline. Additional information is available here. I don't watch much TV, but my roommate has been on a Futurama kick lately, and by extension I am too. I realize I'm several years late, and I'm hardly an expert on the Futurama universe yet, but I've enjoyed what I've seen so far—and I'm convinced that there's at least one very clever pro-lifer on the Futurama writing staff. I base this conclusion on two scenes. In "A Tale of Two Santas," (S3, E3) Bender faces execution. The executioner tells Bender that the execution device will "tear you limb from limb, killing you in the most humane possible manner." Bender protests that this "doesn't sound humane." Into the Wild Green Yonder, a Futurama full-length film, involves an evil developer who plans to bulldoze a significant portion of galaxy to build the universe's largest "miniature" golf course. Professor Farnsworth has been bribed by the developer to conduct a sham environmental study. When he accidentally uncovers life on one of the planets targeted for demolition, he declares "Ohh, twaddle-squat. There's no scientific consensus that life is important." I know Futurama isn't the only show to sneak in some counter-cultural messages in support of the preborn child, so let's turn it over to you. What are your favorite examples of subversive pro-life messaging in TV, film, and music? This weekend, I had the fantastic opportunity to once again join pro-life leaders from all over my state for the Californians For Life Summit 2016! It was held in sunny (and very hot for this San Francisco girl) Pasadena. The summit is held every summer in various locations, but this year was the first year it was open to the public, so we can post about it! While I am primarily a representative of SPL, I am also the president of Pro-Life Future San Francisco, so the event coordinator, Wynette Sills, strategically placed me at a table between Pro-Life Future Orange County and our pro-life ally Life Matters Journal! Last year, when I attended, I was part of the cultural outreach group, along with the outstanding Pastor Walter Hoye and his wife Lori Hoye from the Issues4life Foundation. This year we were offered an opportunity to present again. My presentation addressed the mission of Secular Pro-Life, as well as the history of secularists within the pro-life movement. I called upon the group to embrace a more inclusive approach in their advocacy. The moment I said “I am a pro-life atheist” I had the attention of the entire room. It was packed, and it was kind of amazing. Yours truly with the Hoyes! After that, each organization represented had an opportunity to introduce their cause. I used that time to discuss the #HelloHyde campaign, a social media campaign to combat opponents of the lifesaving Hyde Amendment! This was met with tons of applause. Finally, I was invited to participate in a panel featuring “Ordinary People Making an Extraordinary Effort For Life”. The panel consisted of all young pro-life leaders and it was so inspiring hearing their heroic stories and efforts made in the name of life. It was an honor to be featured. I spent the time I was given to discuss the role non-traditional pro-lifers play when swaying people who maybe have never thought too much about abortion. I also stressed the importance of political, sexual, and racial diversity. We even had a couple SPL fans there! One in particular really made my day saying she has followed us for some time and recognized me from our posts! I mean, guys, I don’t do it for the fame, but that was so cool! So many thanked us for being there. In the end when the attendees joined hands to pray, one man offered to stand with me during the prayer and he didn’t pray out loud with the group. It felt almost as if he were standing in solidarity with us. As I left the building, people continued to reach out and offer their support for our cause. I look forward to working with these brave pro-life people in the coming year to end abortion in California. I have a traditional Catholic personal position, but I am very strongly supportive that women should make these decisions and government shouldn't intrude. In linking his "personally pro-life" beliefs to Catholicism and Catholicism alone, Kaine repeats a stereotype that the abortion lobby has promulgated for decades. If Kaine's "traditional Catholic" upbringing were his sole reason for opposing abortion, then his politically pro-choice stance would be an affirmation of the separation of church and state. The government shouldn't "intrude" upon anything just for the sake of enforcing a religious doctrine. But where reason and religion happen to converge—as they do in laws against theft, for example—government action is entirely appropriate. As many Catholics acknowledge, opposition to abortion is supported by reason as well as doctrine. That's why pro-life atheists like me exist. The science of prenatal development will not be found in scripture, and it is the Universal Declaration of Human Rights that provides "Everyone has the right to life, liberty and security of person." Not those who are old enough, not those who are conscious, not those who can live independently, not those who are wanted, but everyone. Perhaps this is simply ignorance on Kaine's part. Perhaps he truly doesn't know why non-Catholics oppose abortion. Perhaps he simply accepts the Catholic position as what he is supposed to believe and leaves it at that. That intellectual laziness is not a promising characteristic for someone a heartbeat away from leadership of the United States. If that is the case, and Kaine's "personal opposition" to abortion truly doesn't go beyond shallow parroting of a religious doctrine, another problem arises. Kaine was not always beholden to the abortion lobby. He used to have the endorsement of Democrats for Life of America (see here and here for how he lost it). As governor of Virginia he supported some moderate pro-life legislation, including informed consent, parental consent, and the partial-birth abortion ban. If his only reasons for doing so at the time were religious reasons, then he doesn't understand church-state separation. I don't actually think Senator Kaine is ignorant. I think he knows exactly why abortion is wrong, he understands the separation of church and state, and he abandoned the cause of helpless children for the sake of political power. I'm a strong supporter of Roe v. Wade and women being able to make these decisions. In government, we have enough things to worry about. We don't need to make people's reproductive decisions for them. In other words: Priorities, people! Over a million people die in abortions every year, but the government has too much on its plate to address that. Things more important than doing something about unborn children being torn limb from limb include "protecting animals and wildlife" because "the way our society treats animals is a reflection our humanity." I kid you not, that's straight from the Clinton/Kaine campaign website. Better late than never on this story. Three weeks ago, Students for Life of America (SFLA) launched a new research initiative: the Institute for Pro-Life Advancement. Its focus is on polling and finding the best ways to convey the pro-life message. Its first paper, on Millennials' abortion views, is enlightening. 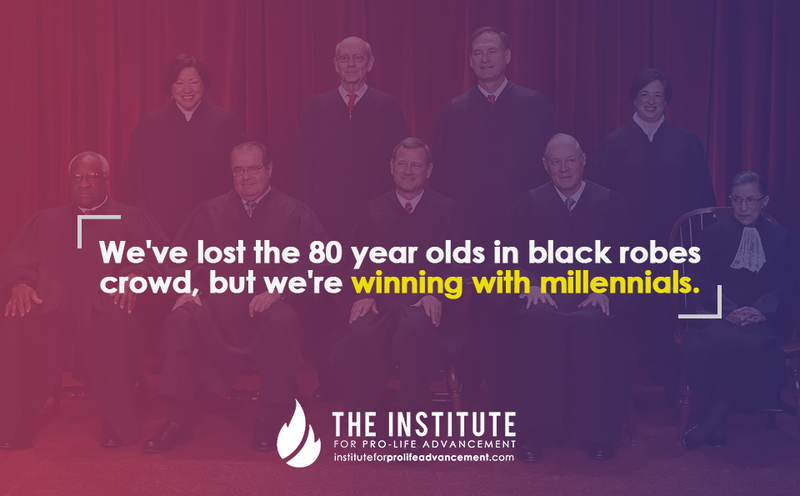 A central finding was that the majority of Millennials favor pro-life policies, including total or near-total abortion bans. Yet many hesitate to call themselves "pro-life." 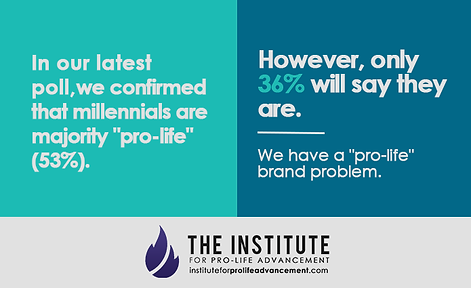 The report surmises that Millennials "don't want to associate themselves with the pro-life label" and suggests that we need to rebrand, but has little to say about the underlying causes. That's understandable; they didn't poll people about their reasons for denying their pro-life identity, and pure speculation doesn't belong in a think-tank-style white paper. We're free to speculate, though, and my educated guess is that it has a lot to do with the idea that being pro-life means being anti-gay. That's not true, but countless "family values" groups have linked "life and marriage" to the detriment of life. In a not unrelated vein, there's the stereotype that you have to be religious to be pro-life. Obviously, Secular Pro-Life is hard at work on that! The section on abortion advocates' rebranding as compassionate islands in a sea of "stigma" is an interesting read. The abortion movement's blatant reliance on emotional appeals creates an opening for us to be the movement of facts. This doesn't only mean scientific advocacy like educating people about prenatal development (which we should keep doing), but also on pointing out the basic reality that a lot of people walking around today would be dead if the "compassionate" abortion lobby had its way. The Institute for Pro-Life Advancement also recommends that we continue voicing our feminist objections to abortion. Given the success of last month's Pro-Life Women's Conference, I have no doubt the pro-life movement will do exactly that. The Supreme Court may be hostile to our concern for women's health, but there are other arenas where we can make a difference, starting with our local pregnancy centers and maternity homes. The response was incredible. You facebook shared and tweeted the hell out of it. Numerous leaders and organizations, both secular and religious and from all parts of the country, have come on board. We received excellent coverage in pro-life media outlets, including LifeNews and Live Action News. After working on this in secret for so long, it's a thrill to see the positive response to #HelloHyde. Thank you all so much! Video editors to help us with the next phase of promotion. Email info@secularprolife.org if you are willing to offer your video skills for free or at a reduced rate. People born through the Medicaid program to submit their #HelloHyde photos. Note that this is open to all Medicaid babies, even if your mom was pro-life and you were never at risk for abortion. We are going to put the photos in context with a statistic: 1 out of every X people born through Medicaid would have been aborted if not for the Hyde Amendment. (The statistical analysis is being done by our allies at the Charlotte Lozier Institute and will be publicized later this summer.) 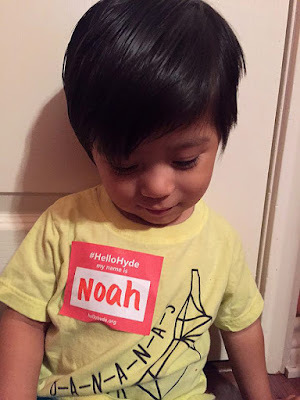 Get your #HelloHyde name tag and instructions at HelloHyde.org. Everyone to sign up for email updates at HelloHyde.org. 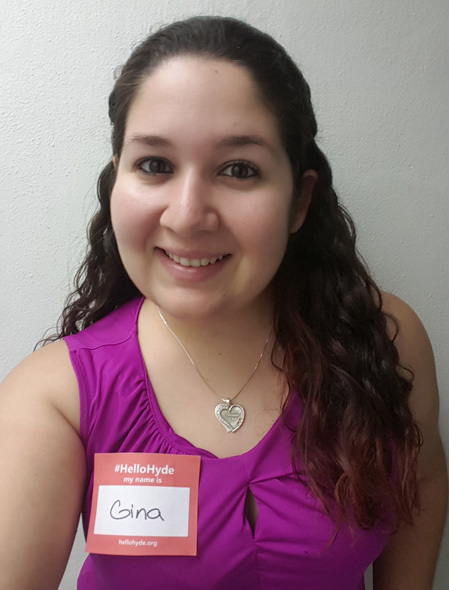 Gina Mallica (Medicaid kid): Gina graduated from the University of Florida with a Bachelors in Animal Science in 2012. It was there that she caught the pro-life fervor and served as the president of the UF Pro-Life Alliance. 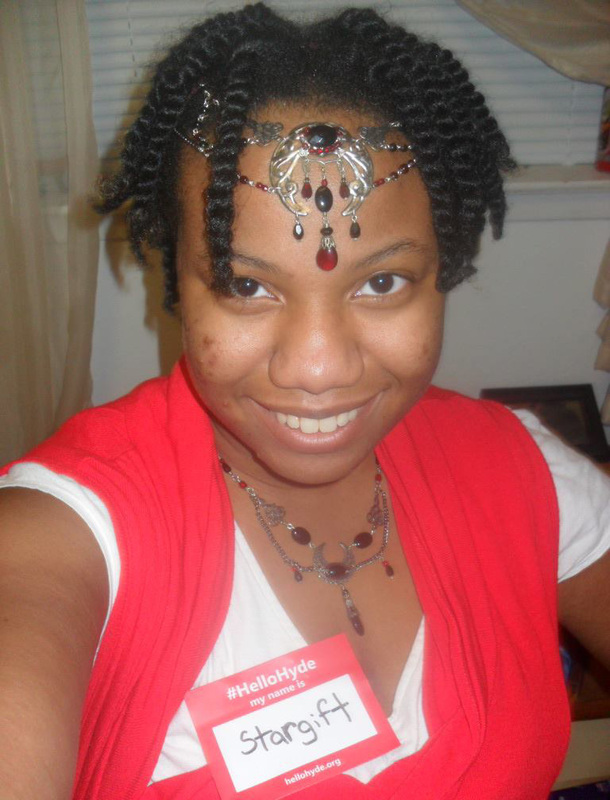 In her spare time she is an avid blogger and actively involved in her church, especially in missions. She lives in South Florida with her husband and cat. Stargift Thomas (Medicaid kid): Stargift is a priestess and witch in training under the Pagan faith. She is currently in the process of applying to the nursing program at Lone Star College. She has aspirations to further her education to become a Nurse Midwife. Stargift has a strong attachment to pregnant women and preborn children, vowing to the Goddess to serve them. She is the mother of two children; a son lost in the womb and a three-year-old daughter. She currently resides in Houston. Valerie Lopez (Medicaid mom): Valerie is a "super senior" at Texas A&M International University working on her last few classes to achieve a BA in English. She's a mother, wife, and future educator. Her personal hobbies are dancing, reading, and working to advance the pro-life movement in any way she can. Kelsey Hazzard (Ally coordinator): Kelsey is the president of Secular Pro-Life. She obtained her B.A. from the University of Miami and her law degree from the University of Virginia. She is a Students for Life of America Defender of Life Award winner and has appeared in numerous media outlets, including NPR, LifeNews, and Buzzfeed. People from different faith backgrounds coming together for the right to life—that's what Secular Pro-Life is all about! It's been a while since we wrote anything for our "Website Under Deconstruction" series. This series explores falsehoods and evasions in the websites of abortion businesses. Previous installments of the Website Under Deconstruction series have profiled businesses in Portland (OR), Orlando, Chicago, Missoula (MT), Robbinsdale (MN), Cleveland, Montgomery, Phoenix, and Pensacola. Today's installment takes us to Queens, NY. 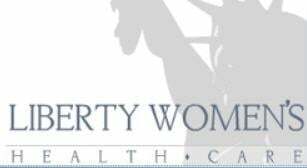 I came across the website for Liberty Women's Health Care via a Google ad while doing some general abortion research. The URL struck me: saferabortion.com. As an attorney, my educated guess was that the "r" in "safer" was key to avoid liability for misrepresentation when they kill or maim a patient. I was intrigued and clicked. Unlike other facilities, we use ultrasound before, during, and after the first and second trimester abortions, as well as at the follow-up visit, to ensure the safety of our patients and completeness of the procedure. We have the most current, accurate,state-of-the-art ultrasound machines on-site, including multi-frequency abdominal and vaginal probes, which allow even the very earliest pregnancies to be diagnosed accurately, and not poor quality, obsolete ultrasound machines found at other facilities. Our board-certified OB/GYN physician is an expert at OB/GYN ultrasound, which is very important, since the quality and accuracy of the ultrasound is greatly dependent on both the quality of the equipment and the skill of the person doing the ultrasound. We use only sterilized surgical instruments and sterile, one-use-only, disposable plastic uterine curettes, unlike some unsanitary "bargain" clinics that reuse these curettes and do not practice safety, cleanliness, and sterility, such as ones in Jackson Heights, the South Bronx, or downtown Brooklyn. For the added convenience of our patients, we provide safer early surgical abortions starting from the very earliest that the pregnancy can be seen by ultrasound, in contrast to other facilities that do not perform early abortions. A surgical abortion can be done safely only if the pregnancy can be definitely seen inside the uterus on careful ultrasound exam. The lower limit of visualization of a pregnancy by ultrasound is 4 weeks, 0 days by menstrual age (approximately 2 weeks after conception or approximately 1 week after implantation of the embryo into the endometrium, the lining of the uterus). Below 4 weeks, a pregnancy cannot be visualized by ultrasound even with multi-frequency vaginal probes (which we use); therefore, a safe surgical abortion is not possible below 4 weeks. Please beware of some unethical clinics that falsely claim to do surgical abortions at 3 weeks, which is definitely not safe to attempt, since the pregnancy cannot be seen at 3 weeks. If the pregnancy cannot be visualized inside the uterus by vaginal ultrasound, the possibility of an ectopic pregnancy (pregnancy outside the uterus usually in a fallopian tube) must be recognized, and these patients must be followed closely and carefully with serial blood tests to measure the quantitative beta-HCG (human chorionic gonadotropin or pregancy hormone) levels and vaginal sonograms. An ectopic pregnancy can be a life-threatening emergency, and patients must be followed promptly and carefully. Ectopic pregnancies are often difficult to detect. Our board-certified OB/GYN physician is skilled at diagnosing and treating ectopic pregnancies with state-of-the-art surgical and non-surgical methods. This is rich. Ultrasound is necessary for patient safety? Abortion businesses don't always sterilize their instruments? There are quack abortionists out to make a quick buck? You don't say. It gets even better. Liberty goes on to brag that its abortionist has hospital privileges. It also claims to be accredited by the Accreditation Association for Ambulatory Health Care—which would mean it meets ambulatory surgical standards like the ones struck down by the Supreme Court—although I could find no evidence of Liberty's accreditation on the AAAHC website. Either way, by linking hospital privileges and ambulatory surgical regulations to patient safety, Liberty has violated a major pro-choice talking point. The abortion industry denies that health and safety regulations are necessary and insists that it is capable of regulating itself... until, that is, it's financially beneficial to say the opposite. The Democratic and Republican Party conventions are coming up, and pro-life activists are on it. The convention begins July 25. 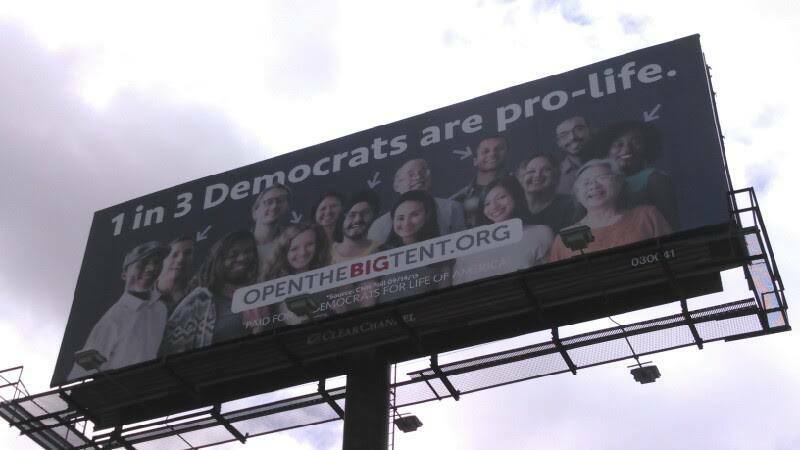 You can sign a petition encouraging the Democratic party to get a clue at OpenTheBigTent.org. Meanwhile, on the GOP side, pro-lifers aren't giving presumptive nominee Donald Trump a pass. The Donald's stance toward Planned Parenthood is wishy-washy at best. #OperationRNC wants language in the party platform to redirect funding from PP toward federally qualified health centers that don't promote or commit abortions. There will be several pro-life rallies in Cleveland this week, and #OperationRNC airplane banners throughout the convention itself. The next couple of weeks should be very interesting. In the United States, the pro-life movement struggles in the face of an unreasonable Supreme Court which recently ruled that abortion businesses have the right to an exemption from the regulations that other outpatient surgical facilities must follow, despite absolutely nothing in the Constitution that remotely supports that conclusion. On top of that, we get to deal with the presidential election from hell. While our despair is understandable, let's not forget about the fight for life in other countries. Worldwide, things are looking up for unborn children. The Mexican Supreme Court did what ours should have done in 1973, finding no constitutional right to abortion. In Ireland, pro-life advocates blocked a bill that attempted to target unborn children with disabilities. And in Poland, which already has strong pro-life laws, advocates have delivered nearly half a million signatures in support of a proposal which would create further legal protections for preborn children, expand funding for perinatal hospice, and reform adoption procedures. 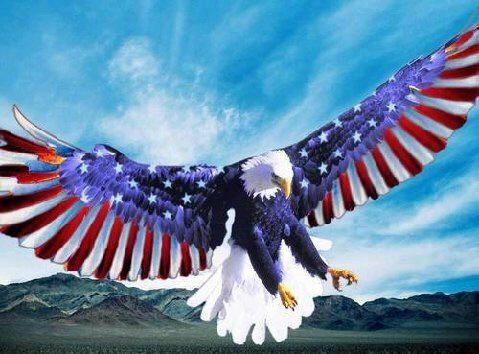 Americans, let's be inspired to up our game! Your president, Kelsey Hazzard, here. On Saturday, I had the pleasure of speaking at the National Right to Life Committee (NRLC) convention in northern Virginia. 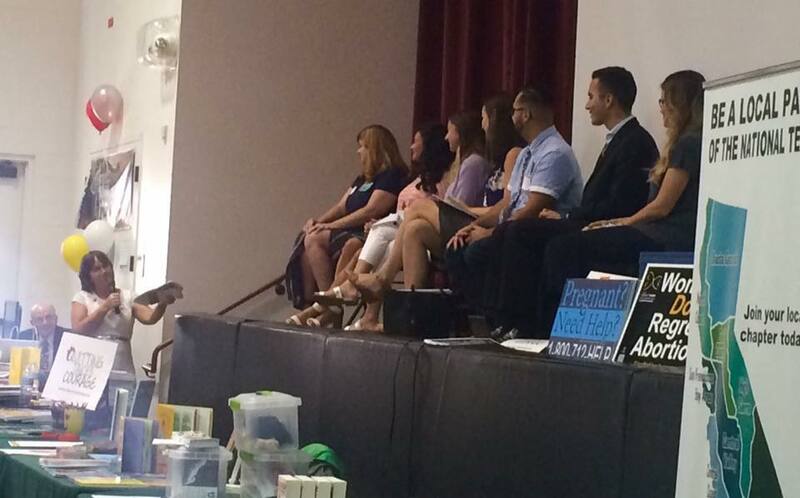 Saturday morning kicked off with a panel highlighting NRLC's "Will to Live" program. The Will to Live is a free, customizable document which you can use to make your health care wishes known in the event that you become incapacitated. Its language makes it clear that the patient does not buy into the idea that it's better to be dead than disabled, and that the patient desires nutrition, hydration, and treatment for the condition. Two panelists offered emotional stories involving their elderly fathers; one father had a living will and survived, while the other did not and died after denial of care. The panel concluded with a plea to pro-life advocates, which I did not record verbatim, but was along the lines of: "You do so much every day to save the lives of babies who you don't know and will probably never meet. Your selflessness is admirable, but don't forget about yourself and your family. Use the Will to Live and you could save your own life and the lives of your loved ones." 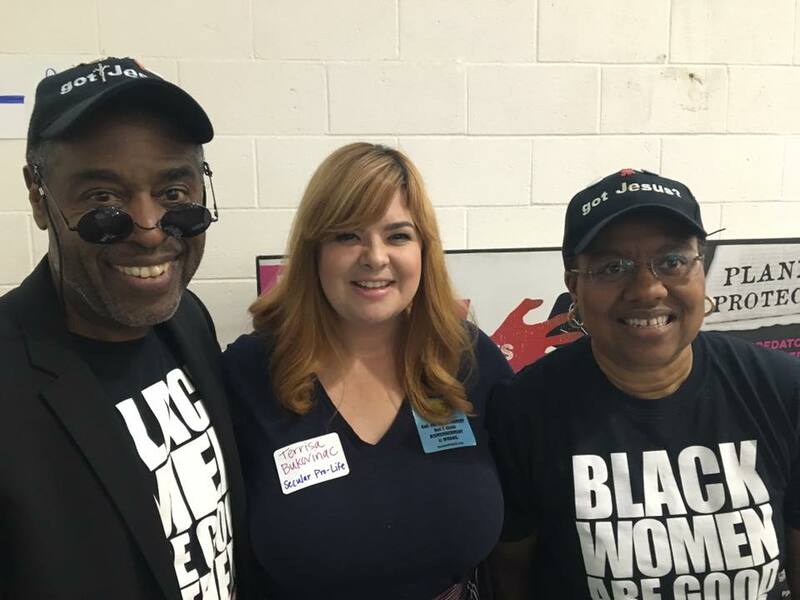 Next, we went into breakout sessions, where I spoke about making the case against abortion from a secular point of view and how NRLC state affiliates can make their organizations more inclusive. It went well; the session was well-attended and very interactive. Several individuals approached me afterward to say that they would be changing their approach in light of what they'd learned from me. We did not videotape the presentation, but NRLC created an audio recording. We'll let you know when that's available. During the lunch hour, I networked with friends old and new, and specifically promoted a new campaign that we'll launch next Monday, July 18. Stay tuned. I attended a handful of afternoon sessions (on federal legislative updates, press relations, and electoral campaigning) and then it was off to the airport. My schedule has been a bit of a whirlwind lately; I'd be lying if I told you I wasn't exhausted, but it's all been 100% worth it. Tomorrow at 10:45 a.m., Secular Pro-Life president Kelsey Hazzard will address attendees of the National Right to Life convention in northern Virginia. Her topic is "Making the Pro-Life Argument from the Secular Perspective." You can get the full convention schedule here. Hope to see you there! I have been a health care provider for over 30 years, first as a registered nurse and for the last 15 years, as a nurse practitioner. For most of my nursing career, I worked in either a hospital based operating room setting or an ambulatory surgical setting. Both hospitals and ambulatory surgical facilities are highly regulated by the state, with tremendous oversight, including annual and surprise on-site inspections by state health department authorities. There are quite literally thousands of regulations governing the operation of these facilities, which range from how instruments are sterilized to what the floors are washed with to how the doctors and nurses are vetted and how surgical consents are obtained. 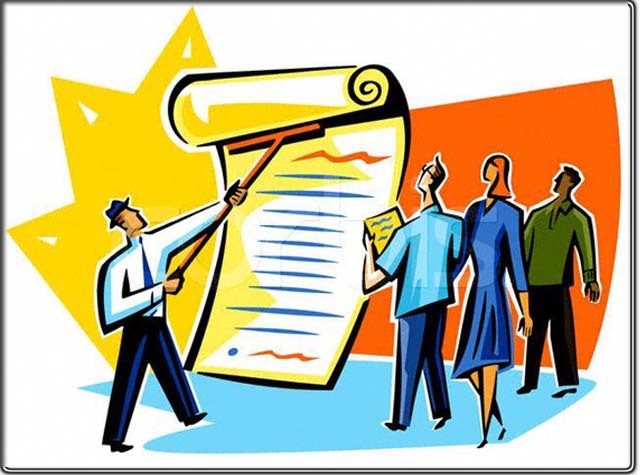 Facilities that fail to meet the state standards face penalties that range from fines, to loss of Medicare/Medicaid reimbursement, to closure in the most egregious cases. If you need your hammertoe repaired, or you need a colonoscopy, your procedure will be performed in one of these facilities. You will be in a facility with clean floors and sterilized equipment and licensed and uncensored physicians who explain your procedure and the associated risks and obtain legal consent. And if you have a miscarriage, otherwise known as a ʻspontaneous abortionʼ to clinicians, your dilation and curettage procedure will likely be performed in one of these facilities. But if you are a frightened young woman confronted with an unplanned pregnancy? Thanks to the Supreme Court's disappointing recent decision, you may find yourself in an abortion facility does not meet the same standards required of the facility that can fix your crooked toes. And in the event of a complication, don't expect continuity of care, since states can no longer require abortionists to hold hospital admitting privileges. 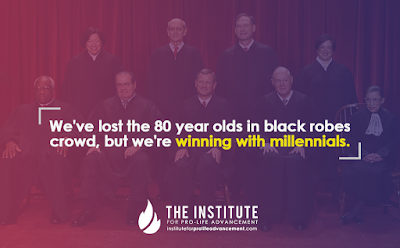 The Supreme Court, in its brilliant wisdom, has simply legalized abortion and walked away. Truly, HB2 never had a chance. If we, as a society, can legalize the physical destruction of the unborn child within its motherʼs womb, why would we need to regulate it? Perhaps the take-away from the Supreme Court decision is that there is no real way to "regulate" the murder of the unborn. There is no way to oversee it, or make it cleaner, or more sanitary, or safer. Are abortion-minded women really much better off today than they were before Roe v. Wade? Much has been written on rhetoric. Rhetoric is essentially the art of effective or persuasive conversation, using certain language techniques to make your position believable to an audience. To use rhetoric, you use figures of speech and compositional techniques to make believe what you are saying, even if your arguments are devoid of any substance. Donald Trump has mastered the art of rhetoric. Very little of what he says is substantive, but he has the majority of Republicans eating out of his hands. So just like with any tool, rhetoric can be abused. You can use rhetoric to appear you know what you're talking about, when in fact your arguments are poor. Those who are not trained in logic will have a much more difficult time seeing through mere rhetoric. Examples of rhetoric abound in advertising slogans and among used car dealers, and many conversations on contentious topics contain rhetoric because we can often refuse to want to grant intellectual ground to our interlocutor so we use rhetoric instead of conceding defeat. The term "rhetoric" has taken on a modern definition of any emotional argument that is devoid of substance. The pro-choice argument "pro-lifers just want to oppress women" and the pro-life argument "pro-choicers are just baby-hating monsters" are rhetorical in this sense. However, traditionally rhetoric has been seen as useful for getting your point across when your argument is sound. It's not enough simply to give someone a valid and sound argument. Using rhetoric will make your argument memorable and emotionally impactful. We should respect our ideological opponents enough not to use rhetorical but bad arguments in the hopes we will convince them. Not only is it needlessly disrespectful, but if we use a bad rhetorical argument they may come across a good response to it and return to being pro-choice, more staunchly than before. My main inspiration for writing this post came from a recent outreach I participated in with Justice for All at University of Colorado, Ft. Collins. A woman approached me and asked, "are you anti-choice?" I tried to explain my position to her, that since the unborn are human beings and abortion kills them, we should oppose abortion as a human rights issue. She responded, "so you're anti-choice?" I tried to clarify my views again, to no avail. She seemed intent on seeing me as anti-choice, nothing more. If I had a good rhetorical response, I may have been able to make some headway with her. So rhetoric is not necessarily a bad thing, as long as you're not abusing it by making bad arguments to guard intellectual turf. Let's open it up to the comments section. How would you respond to someone rhetorically who was intent on seeing you as anti-choice?